Where will the SPGB be in five years time? 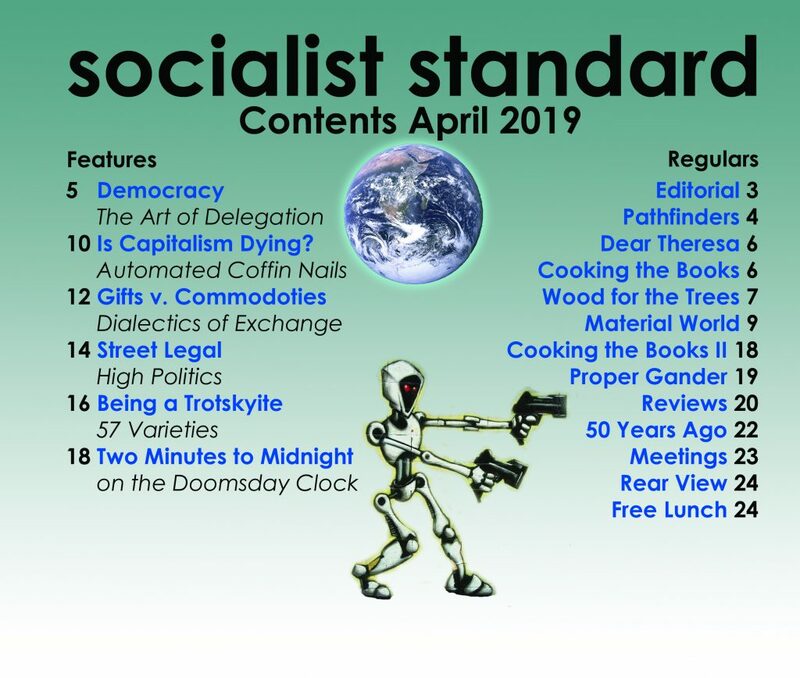 Home › Forums › World Socialist Movement › Where will the SPGB be in five years time? This topic contains 17 replies, has 7 voices, and was last updated by Jordan Levi 1 month ago. I’ve been wondering lately where the SPGB will be in five years? How many members will there be? What will the SPGB mean to the working class? It doesn’t feel like we are reaching people. We have hundreds of members but we need millions. If we doubled our membership every year from 300 members, it would take 18 years to get to 39 million. But how many new members, or even just new supporters do we get each year? And how much effort and money does each new member cost us? We need to reach people and we should be. 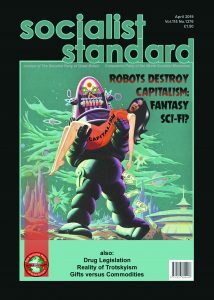 The SPGB seems to be in a unique position as an organisation. Because of it’s legacy, members have bequeathed resources to us on a level that many other organisations could only dream of. Meaning that we could do so much more. We are like the USSR of the communist uprising! First, why don’t we hire a PR agency or similar to help us better understand how to be more engaging to the general public? We should look at how we can employ technology to help us organise. I have seen well run online communities for organising. And lastly, is that I think we could explore the use of cooperatives as propaganda in the UK. I believe that the Co-operative and Community Benefit Societies Act 2014 provides an amazing legal framework for setting up very imaginative kinds of legal entities. We could become a sponsoring body, meaning we offer model governing documents for various type of legal structure and support their set up. we could position ourselves as a sponsoring body, providing model governing documents to a range of legal structures which can show people the benefits of socialising ownership over private ownership. One example is that we could have model documents for community library of things. Imagine a catalogue of publicly owned goods, like tents, kayaks, rook racks, lawn rollers, hedge trimmers, etc. High ticket items that capitalism loves to sell us so that it can sit in my loft until I go camping once every 5 years. The idea of tool libraries is already something we have with places like the North Portland Tool Library in the US and Markerspace in London. Why not abstract that to other goods too. It shows people the benefits of socialising the cost of owning these goods in public rather than privately. We could also have model documents for community kitchens. We spend an inordinate amount of time in the kitchen each day cooking, cleaning and preparing meals. Somewhere on the SPGB site I once read an article which said that under socialism we wouldn’t cook our own meals every day because it’s a massive drain on our own time and resources. Instead we would have community kitchens which cook healthy and nutritious food. So, we create a model whereby communities can set up a legal entity that can purchase, cook and distribute dinners to communities, which could be done at a fraction of the cost of what home-cooking costs working class families. I’d sign up to, and pay for that, to not spend an hour each evening messing up and then cleaning the kitchen. Think of how that could also help elderly communities like in the village where I live. A comrade did point out to me that in a recent Standard article (October 2018 I think) that we do state coops aren’t the answer, but that doesn’t mean we can’t use them to our advantage! I really think this is an exciting area that we could use as propaganda for convincing the working class of the benefits of socialism by showing them how it benefits them. I once heard the art of good story telling is to show, not tell. Both the second and third points kind of tie into the first, because we need to figure out how to become something that makes people stand up and take notice. Many have spent years trying to figure out why there at not many more socialists and trying to find out what to do about it with the assumption that we must be doing something wrong. What is much more productive is to attempt to answer the question: why am I a socialist? Assuming that we’re not an alien species what is it about us that makes us so different politically? Answers to this question have been proposed but instead of constantly assuming we’re doing something wrong or that we could do something different ask yourself why what we do was sufficient to make you a socialist. As with so much in life the answers begin with such an insight. This reply was modified 1 month, 3 weeks ago by Wez. I agree with the process of ‘insights’ but in this case it assumes that it was the SPGB that made me a socialist, which for me, it didn’t. As a socialist, I joined the SPGB. I think that the point during which we explore the insights you are referring to are when we design our membership ‘journey’. We must understand the journey of “becoming a socialist” so that we can help others down that path. But if we don’t reflect on how we actively engage the working class, then we’re just sitting back and waiting for the rest of the world to catch up. We should be proactive in pursuing socialism, not passive. The same question applies: what made you into a socialist? Like you I thought of myself as a socialist before I encountered the SPGB (a brother in law who pointed out the difference between Bolshevism and socialism helped) but without the SPGB I may still have ended up a cynical lefty. What was ‘your journey’ to socialism? I suspect it is similar to others in the Party and features a high level of what I call a ‘high facility for criticism’; in other words we take nobody’s word for anything until we’ve thought it through ourselves. This represents a contrast to the way many others acquire information (authorities in the media, parents, peers etc.). Neil, this topic could be submitted via Kent & Sussex Branch as a Conference Item for Discussion in time for the agenda deadline of Friday, 15 March. Unless something little short of a miracle occurs in the meantime, struggling far more than it is right now and fairly unrecognisable in its present form. Could do that Dave! I guess it should be formulated into a more formal motion. I can write up a draft and circulate it amongst the branch members. The solution is very easy. Let’s become a reformist organization and make alliance with all kind of groups and we are going to have thousand of members in a few months. Who said anything about becoming reformist? I think that we should try to become more relevant — an entity with more meaning to the working class. But what you seem to be saying is that we can’t do anything until the working class changes it’s mind and stops retreating, so we’ll just hang around until they come calling. Why not actively pursue our goals instead? You didn’t say it but I said it There are many organizations who have a large membership because they are reformists and they are offering immediate solution to the solution which in long term are Just temporary We are pursuing our goals, we have this forum in which only a few peoples participate, we have another forum which is practically dead, we have Facebook and Twitter pages, we have a party page on the internet with access to thousands of articles and pamphlets, we have a summer schools, we participate in the election, we give conferences, we publish a journal every month. What else can we do ? Please do that Neil, and circulate it to members in time for consideration by branch on 10 March. Peak time broadcasts to reach receptive listeners would be propitious. Would a radio station or slot be unrealistic? Perhaps a weekend live radio broadcast from H.O? Initially online and then DAB if it is successful? I have experience as a broadcaster and would be up for it. A mixture of radical music, debates, phone-ins etc. Minimal online tech and a sound proof room together with a DJ and tech guy wouldn’t be too expensive. Wez, that is a good idea. I also noticed that such online radio broadcasts are also videoed. I agree. I think it’s a great idea and would be very engaging! I don’t know much about broadcasting myself, but we surely have enough material (or could record) that perhaps it needn’t only be live; could we have a 24/7 broadcast but pre-recorded material mixed with music?